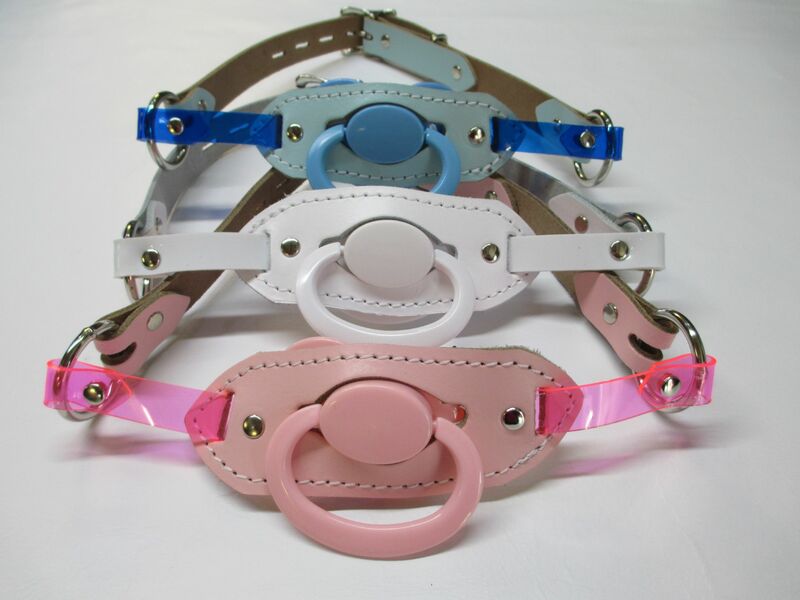 Listing is for the purchase of a single Custom Made Leather AB/DL Mini Design Pacifier/Dummy/Binkie Holder Gag and Large shield/teat Pacifier. 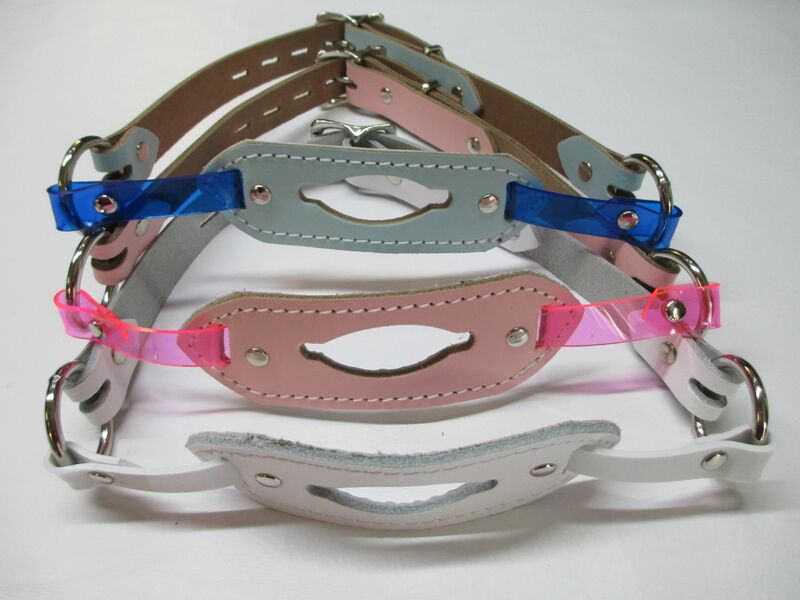 Straps are made from 100% Grade A Leather in a choice of three pastels shades. PVC thinner straps are riveted onto a one inch welded ring either side. With high quality roller locking buckle and keeper. Center piece is the same matching colour choice, with white calf leather lining. 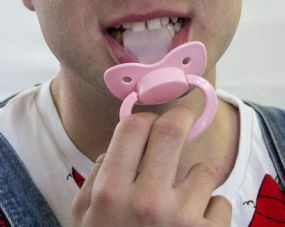 This design sits very comfortable on the mouth with a large AB sized pacifier in place, and will take most sized pacifier handles up to approximately 2.5 inches wide. Images to show scale and taken apart Image with models permission. "Great product. i can fit all my favorite binkys in this and take a nap"
"OMG! love this biny holder, i have the maxi insert gag too and use them all the time." "me likes my new binky holder"